This content was published: October 10, 2017. Phone numbers, email addresses, and other information may have changed. This coming Friday, October 13, from 12:00 – 1:00, World Renowned Classical Guitarist Scott Kritzer will be performing a free noon time concert at PCC Sylvania in the Little Theatre (CT201). Mr. Kritzer has performed in concert halls from San Francisco, Frankfurt, Vancouver BC, Los Angeles, Sapporo, Washington DC, and Munich, to New York. He has been featured in Japan’s Guitar Magazine, England’s, Classical Guitar and Guitar International as well as America’s Soundboard and Guitar Player magazines. He debuted to critical acclaim in London’s Wigmore Hall and New York’s Carnegie Recital Hall. IN 1996, he was chosen by then Senator Mark O. Hatfield to represent the State of Oregon in a performance at the Kennedy Center for the Performing Arts. 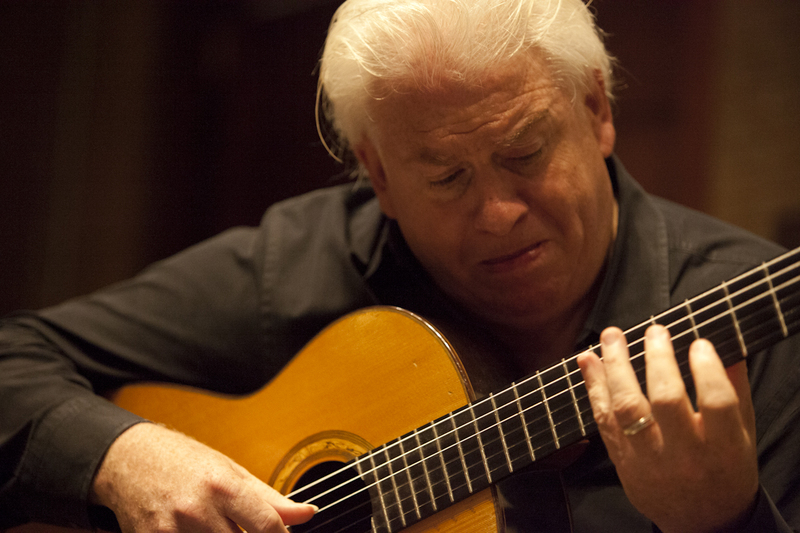 In addition to his performing career, Mr. Kritzer is a highly sought after classical guitar instructor. His method is taught to both local students through private and informal workshops as well as to students across the United States, China, England, Norway, the United Arab Emirates, and Ireland through an innovative online format. Some of his students have won regional, national and international guitar competitions and have gone on to attend such notable institutions as The Julliard School, The Royal Conservatory of Music and Kritzer’s alma mater, The San Francisco Conservatory of Music. Mr. Kritzer is a former instructor at both Reed and Lewis & Clark Colleges. His annual retreat, Classical Guitar Immersion, held at the Menucha Retreat Center on the bluffs of the Columbia Gorge in Oregon, draws classical guitar aficionados worldwide. This Friday’s event is open to the public and is a required part of study for MUP applied lesson students in the Music Program at PCC. Mr. Kritzer will be performing a program of varied works for the guitar, from the Baroque to the Contemporary era.